On a damp and cold winter’s evening in Portland, Oregon, the best neighborhood to find Instagram-obsessed YUP’s (young urban professionals), hipsters and creative misfits is the Pearl District on the northwest side of the city. The Pearl District has become affectionately known for its plethora of artisan cafes, more microbreweries to explore than Friday evenings in a lifetime and its exceptionally creative art scene. But the Pearl District hasn’t always been viewed as Portland’s cultural and intellectual hub. Just 30 years ago the Pearl District was the most dilapidated, bleak neighborhood in the city; an abandoned industrial neighborhood inhabited by the homeless, seemingly forgotten by the rest of the city. The Pearl District’s remarkable raise from a forgotten, ugly stain on the city’s image to one of the most recognizable neighborhoods in the Pacific Northwest did happen by accident. The neighborhood’s expedient transformation is the direct result of several urban policies that promoted rapid gentrification. The visionary city planners and entrepreneurs who envisioned the Pearl District’s transformation and brought about new found wealth forgot about one aspect of the project—the poor who were displaced. Portland where jobs were plentiful. Like all expanding cities, Portland experienced a housing shortage and the Couch-Addition was the city’s solution. The Pearl District was part of the project and was designed as a neighborhood to house many of the lower-middle class migrants working in the lumber yards. 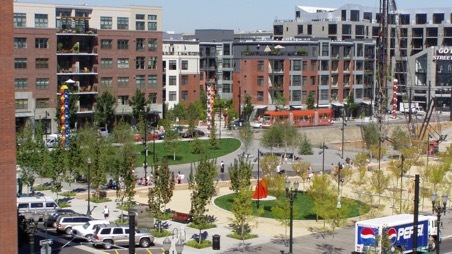 The Pearl District was an ideal location for this type of housing because it was located adjacent to Portland’s rail yard, a major economic hub in the region. Portland was an agglomeration point for the timber industry and the rail yard was one of the largest exporters of lumber in the region. 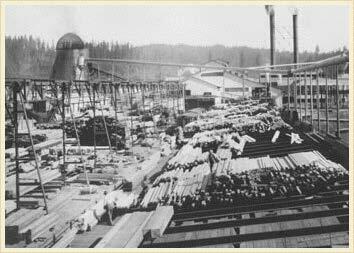 By the early 20th century the timber industry and bustling rail yard in Portland were in steep decline. The blue collar workers that were living in the Pearl District began leaving the neighborhood in search of new opportunities. In their wake, furniture craftsman began moving into the Pearl District, changing the fabric neighborhood from residential to industrial/commercial. The newly-invented Pearl District thrived for nearly 50 years until a recession struck in the late 1960s, crippling the US economy. The late ‘60s and ‘70s marked an era in which the Pearl District was a forgotten part of the city. The once vibrant neighborhood had become a shadowy skeleton of its former self. 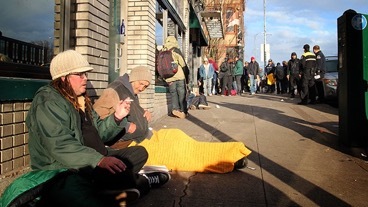 Portland’s homeless flocked to inhabit the abandoned buildings and warehouses. The Pearl District is a small neighborhood of only 1.2 square kilometers but the City of Portland estimated that there were an astonishing 2,000-3,000 homeless people living in the neighborhood during this period of downturn. In part due to low real estate cost, developers began punching land and slowly redeveloping in The Pearl District throughout the 1980s. 1994 marked a year for the Pearl District in which rapid gentrification truly took its form, Portland planners published their River District Development Plan, an urban renewal project centered around gentrifying northwest Portland, most substantially the Pearl District. As public redevelopment funds and tax breaks took affect, developers transformed the Pearl District from a dense neighborhood of crumbing lofts and dilapidated warehouses into modern apartments, elegant townhouses and sophisticated storefronts. Families and YUPies began moving in, forcing the homeless deeper into the periphery of Portland. 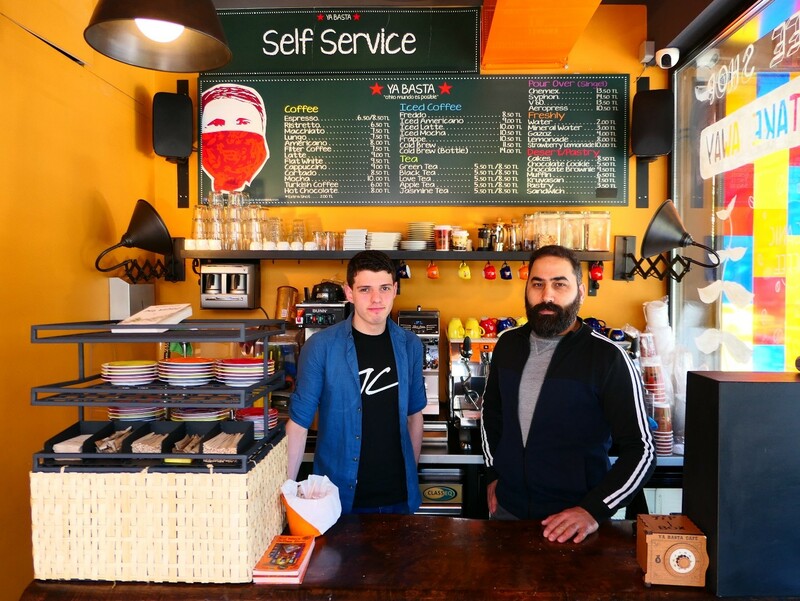 Hipsters quickly opened artisanal microbreweries and fair-trade, gourmet cafes which raised rents, forcing out small shops and markets that had been fixtures in the Pearl District’s age of downturn. Over the course of fifteen years the Pearl District redefined itself from a neighborhood riddled with crime and the city’s largest homeless population to a neighborhood filled with vitality, innovation and promise. The Pearl District is now home to Portland’s most acclaimed restaurants, renown cultural venues, and is the most desirable place to live in the city. The neighborhood is a classic example of successful gentrification from an urban planner’s perspective but for Portland’s poor, the Pearl District is a reminder of their repeated disenfranchisement. During the decade of downturn in the Pearl District, the late 1960s and 1970s, warehouses and commercial spaces were largely owned by banks and lenders. They were foreclosed upon when the furniture industry had a fortuitous collapse during the short stent of economic recession. Many of those foreclosed and vacant buildings were rented out at the lowest rates in all of Portland which is what originally brought in so many poor. Portland has always had a social housing gap and the cheap rents in the Pearl District helped to alleviate the issue. During this period, vacant buildings that weren’t rent out were inhabited by the homeless. There was no better place in the city for the homeless because of the Pearl District’s proximity to the central business district yet sense of isolation as an economically depressed neighborhood. When the River Front Development Plan went into effect bringing a restored vision to the neighborhood, investors, developers and entrepreneurs began buying as much real estate as they could. As the redevelopment plan desired, all of the neighborhood’s poor began getting priced out. Surely, Portland’s urban planners knew the River Front Development Plan would force out the poor, completely reimagining the fabric of the community but there was no relocation plan in place for those unlucky 2,000-3,000 people who were displaced. Today there are no signs of those who lived in the Pearl District during the late 60s and ‘70s. Many of those who lived in the Pearl District now live in neighboring cities like Gresham, Camas, Troutdale or Sandy, as no social housing units were constructed in the newly-vibrant neighborhood. For those who were displaced, the Pearl District isn’t symbolic of a successful gentrification project. 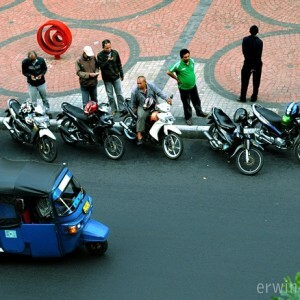 Rather, its a reminder of the dark side of urban development. Its the moral imperative of urban planners to not just think of gentrification as a tool to transform bleak, marginalized neighborhoods into prosperous spaces through institutionally legitimized displacement. Gentrification also needs to have a focus on how displaced communities will be fairly and equitably relocated. Gentrification is an urban process that occurs in countless cities across the globe but far too many cases, urban planners neglect to think of their city’s most vulnerable and that is a practice that must be changed. Is social housing different from affordable housing? There are several large buildings in the Pearl District that are solely affordable housing, with income caps at $30K or so. So, turning dilapidated warehouses into luxury, mid-tier, and affordable housing is gentrification? You may want to research the definition of that word. Though, from review of this site it appears you utilize the word for click-bait. It is almost like the author has never even been to the Pearl, much less Portland. Did you pull all this info from wikipedia, because it is clear you have no idea what you are talking about. Are you kidding me??? Portlanders may have different opinions on the Pearl as a neighborhood, but I can’t recall ANYONE who preferred what it was there before. The Pearl is a success story of urban development, though and through. Since the River District Urban Renewal Area was created (roughly the same geographic area as the Pearl) somewhere around 2,200 units of income restricted affordable housing have been built in the area. It’s a pretty glaring omission from the article that isn’t mentioned. Have you visited the Pearl District? Your characterizations don’t really hold up and seem more like those a person would quickly assume based on reading some other publications and/or visiting once. No Portland resident would characterize the Pearl District as “Portland’s cultural and intellectual hub”. It is a relatively minor neighborhood within Portland. Many would argue that Portland’s cultural hubs would be on the east side of Portland. But we can set that one aside as opinion, fine enough. You use YUPie, hipster, and gentrification several times in contexts that make it clear you are trying to describe all of these in a negative light. That seems a little short sided to me given that most places are trying to entice young urban professionals to their cities, “hipster” is almost entirely used as a pejorative (no one self describes themselves as hipsters), and gentrification is not always a negative (link below). Thats fine I guess but there are good and bad things about all things. Again opinion but this article is not listed as an editorial. You say “more microbreweries to explore than Friday evenings in a lifetime”, even by the most liberal of characterizations there are six microbreweries in the Pearl District. Hardly too many for a night let alone all “friday evenings in a lifetime”. “Portland planners published their River District Development Plan, an urban renewal project centered around gentrifying northwest Portland, most substantially the Pearl District.” Did it really center around gentrifying? That was what it was built upon? I hardly think the planners gathered and said how do we displace as many people as possible. Do you not think that maybe the plan was to revitalize the unused/underused warehouses, parking lots, and former industrial sites to be productive given the proximity to downtown? “The Pearl District is now home to Portland’s most acclaimed restaurants, renown cultural venues, and is the most desirable place to live in the city. ” No. By many, many publications it has maybe as many as 3 of the best 30 Portland restaurants in any given year. Renowned cultural venus? You mean like the Portland Art Museum, Keller or Schnitzer auditoriums, kids or sciences museums, central library, major performing arts centers? Because all of these are in other neighborhoods. I believe the best you could argue is PNCA, Museum of Contemporary Craft, and Gerding Theater. How do you categorize most desirable? I would probably go with lowest vacancy which Pearl does not come close to (spoiler its an eastside neighborhood). First you say: “City of Portland estimated that there were an astonishing 2,000-3,000 homeless people living in the neighborhood” then you say “there was no relocation plan in place for those unlucky 2,000-3,000 people who were displaced” . Does it count as displacement of residents if they are homeless? Doesn’t homeless mean they aren’t “residents”? This confuses me. Gentrification is generally used to describe the raising rents/prices, rising property taxes, and/or evictions that displace people who would legally be allowed to continue living there had a program or revitalization not changed their situation. “Today there are no signs of those who lived in the Pearl District during the late 60s and ‘70s”. Really? How do you know? I live in Portland. 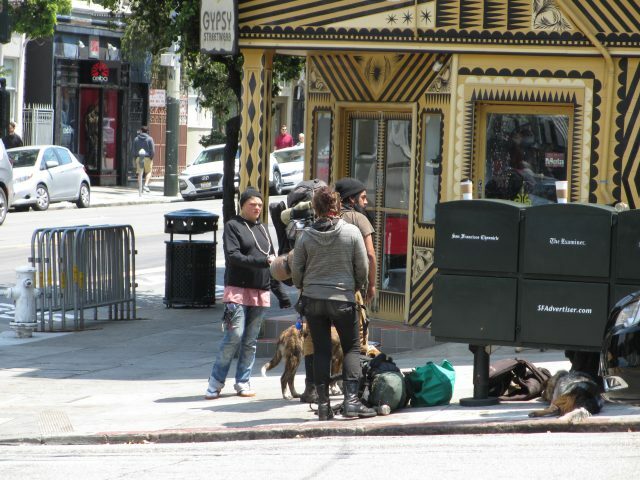 There are many homeless people in the Pearl. Do you know that the homeless people aren’t the same homeless people? “Its the moral imperative of urban planners to not just think of gentrification as a tool to transform bleak, marginalized neighborhoods into prosperous spaces through institutionally legitimized displacement. Gentrification also needs to have a focus on how displaced communities will be fairly and equitably relocated. Gentrification is an urban process that occurs in countless cities across the globe but far too many cases, urban planners neglect to think of their city’s most vulnerable and that is a practice that must be changed.” Gentrification is a byproduct. It is not the point or a tool. It is what happens when development causes displacement. 1: “The Pearl District’s remarkable raise from a forgotten, ugly stain on the city’s image to one of the most recognizable neighborhoods in the Pacific Northwest did happen by accident.” I think you mean “didn’t” or this sentence kind of loses it power. 2:”When the Pearl District was first planned in the end of 18th century” I think you mean 19th century or you have uncovered some new evidence that the Pearl was planned before the City was settled? 3:”River Front Development Plan”. Its actually Riverfront. 4:”They were foreclosed upon when the furniture industry had a fortuitous collapse during the short stent of economic recession.” I believe you mean stint. A stent is a device for opening arteries. 5: Lack of use of oxford comma. First of all the development of the Pearl District didn’t displace “homeless people.” There may have been some homeless individuals camping in the old vacant railyards in the 1980s, but the Pearl District didn’t begin there. And there might have been some more homeless or street people living in SRO’s in Old Town or China Town, but that wasn’t the Pearl either. The Pearl was a subset of what was for planning purposes called the River District. Ryan knows absolutely NOTHING about the history and evolution of the Pearl District. I have no idea where his source(s) of information come from. Maybe he needs to come for a visit and speak to people like me or other developers who were actually active in the Pearl back in the 80s. We were taking vacant or underutilized warehouses and repurposing them in what was known as the Northwest Industrial Triangle area. Back then we were converting multi-story warehouses into working spaces for artists and other creative types or young people who were starting careers and businesses on a shoestring. And some of them may have been living in their loft spaces. We didn’t displace people. Instead, we brought people into a dying industrial/manufacturing area that happened to be on the doorstep of downtown Portland. I am conflicted, well, actually not. I don’t know Portland that well, so this isn’t so much a comment on The Pearl District. This sort of ‘gentrification’ is actually just Gente-fication, or People-fication. People adding. All cities everywhere need to get more people into their city centers where they can be productive, innovative, create community of gardening or child-minding, care for each-other and walk/bike/transit for travel rather than drive ’round seeing each other only as a car vying for a parking space outside the mall. Rebuilding urban areas with huge location/amenity index is of great importance. If we don’t do that there, in those places, where should we do it? In the desert? Then we are displacing the hermits. And then, we drive everywhere. If there are homeless people in the USA, that is a different story all together. That is a story about changing industries, mechanization of industry, loss of semi-skilled manufacturing, a reluctance to house veterans, and a lack of care in building social housing. Deal with that in a different story, please. Another issue is when people who are educated in the local high school, university and even post-grad cannot work enough to earn enough to afford even a studio apartment (Vancouver BC).